London: Shipping is years behind its automotive and airline cousins in harnessing information technology and urgent investment is required, especially as the pool of well qualified seafarers gets ever tighter, according to one of the industry’s most famous analysts. He calls for far greater spending on research and development on automating ship operations and navigation. The lack of qualified crew is one of the most pressing issues facing the industry, he notes. “You’ve got 58,000 deepsea ships, that’s 58,000 qualified chief engineers, it’s tough to get them today and there’s a feeling that in ten years time you are on a real loser there,” he tells Maritime CEO. What he proposes is to look at how owners can deskill the onboard jobs. “If you can lay your hands on some expertise it is much better to have it in the office and be doing the difficult, technical stuff from the office, not on the ship,” he says, noting that this is exactly what the car industry has done. 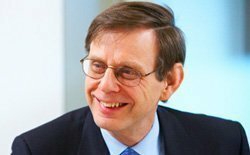 Stopford hits out at owners for failing to invest properly in technical expertise. “I think there is a lot to be done on the technical side in rebuilding the expertise which in 50 years of cutting costs most companies have taken out,” he says, pointing out just how few shipping firms have technical directors these days. As far as the navigation of the ship goes, Stopford says shipping should look at the advent of the Google Car, which has only had two accidents and they were both when people were driving them. The 64 lasers on top of the car don’t make mistakes, he stresses.